In the Fall 2010 issue of Anthropology of Consciousness, Marc Blainey looks at the “discord in the West between viewing psychoactive substances as either ‘hallucinogens’ or ‘entheogens’,” and makes the case for renewed interest in ethnometaphysics. His article has me thinking more about anthropologists produced by a (mostly) entheophobic culture looking at practices and people who are more entheophilic and the ways in which those biases against certain states of consciousness affect the ethnography. 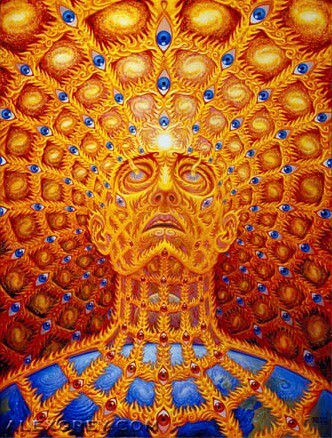 As an example of the utility of ethnometaphysical analysis, I point to the question of why the earnest ritual ingestion of entheogens (psychoactive plant and chemical substances used as spiritual sacraments [Forte 1997]) is so widespread amongst ideologies that have been categorized (albeit problematically) as “shamanistic”? Following R. Gordon Wasson’s (1980: xv; Winkelman 2000:3) partition of cultures according to their keenness for or aversion to mushrooms (mycophiles and mycophobes respectively), I will term cultures with a dedication to entheogens as entheophilic, while those (like our own) that largely disdain the effects, calling them “hallucinogens,” are classified as entheophobic. Blainey, M., 2010, Special Section: The Future of a Discipline: Considering the Ontological/Methodological Future of the Anthropology of Consciousness, Part II. Anthropology of Consciousness, 21: 113–138.